As you may know, many of us have taken an Earth vessel for a certain amount of your “time.” During that “time” we made friends that were as close as our Pleiadian family on the Ship. When we returned to our true Pleiadian self on the Ship, we invited you, our Earth friends, to join us on the Ship in your fourth dimensional night body. Many of you have indeed visited us on the Ship in your fourth dimensional astral body while your physical form slept. Some of you have come to the Ship to use our “Regeneration Chamber” to heal an illness or injury. Others have come to attend one of our many educational meetings, or to just visit your friends. By this statement we mean that you are experiencing brief moments of consciousness shift into the fifth dimension. Some of you are aware that you are actually visiting the fifth dimension, and others perceive your experience as a “sudden flash of awareness.” In fact, these “flashes” are a temporary expansion of consciousness. These “temporary experiences” are moments of merging within your fifth dimensional consciousness. You all align with your fourth dimensional, dream state of consciousness while sleeping, but many of you are beginning to have these “flashes into the fifth dimension” while you are wide awake. These flashes often arise when you are having fun, being creative, merging with nature, enjoying your loved ones, and just before you move into a meditation. What is occurring is that you are aligning with your fifth dimensional SELF. Very often you will find this “Self” in the sky, in a tree, hovering over, or in, the water, or even as you gaze into a fire. You are having these experiences because you are experiencing the elementals of the higher fourth and fifth dimensions. These elemental beings, that are the building blocks for all life, are looking for ones who are ready to experience their world, which is on the very edge of your “octave jump.” Within your NOW, the third and fourth dimensions, which you perceive via your beta/alpha wave consciousness, are intermingling and resonating within the same NOW. Because of the merging of the third and fourth dimensional perceptions, and thus realities, the octave jump into the fifth dimension and beyond is bleeding into your daily life. The challenge is that this octave jump represents a different operating system. Whereas the third/fourth dimensions resonate to time and space, the fifth dimension resonates to the NOW of the ONE. You may still appear as an “individual” on the third and fourth dimensions, but on the fifth dimension you are unified with the ONE of all life. Within the resonance of the fifth dimension, reality is based on Unity with all life. We, on the Ships, resonate to the fifth dimensional ONE and beyond, but we also have a strong sense of our personal expressions of Self. One concept that is difficult to understand during your pivotal shift between your 3D physical/4D astral self and into your 5D Lightbody Self is that in the higher dimensions there is UNITY within diversity. We are all ONE within our fifth dimensional reality. 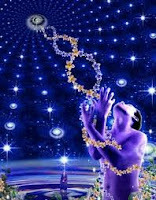 However, we enjoy many different experiences of that ONE by wearing different version of our Multidimensional vessels. 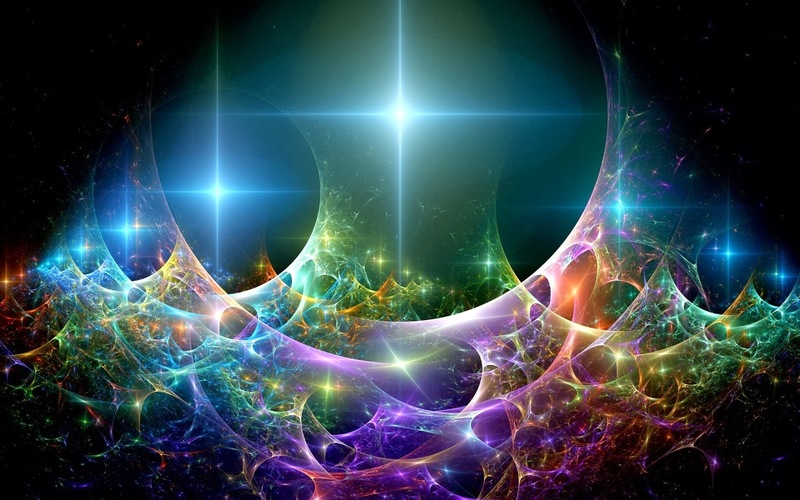 When we are within our fifth dimensional Lightbody, we can choose to create a “space” between ourselves and others, or we can merge into an ever-expanding Light of Multidimensional Unity. It is the ever-expanding Light of Unity Consciousness that is necessary for humanity to be of their greatest assistance to Gaia. The reality is that ALL of you, whether or not you are aware of it, are moving into a slightly different and slightly higher frequency of reality. Many of you are feeling as though some thing, or some one, is flying around in your head. NOW is the time to “brainstorm” with your friends and/or family. By “brainstorm” we mean that you talk to others with whom you are totally safe to say, release, feel and express the myriad new feelings, thoughts, perceptions, dreams, ideas and concepts that seem to suddenly be arriving within your consciousness. What is actually occurring is that YOU are “suddenly resonating” to a frequency of consciousness that is beyond what you have ever experienced in any of your physical incarnations. What is happening is that you are realizing and remembering that humans were meant to be the most advanced species. However, because of the interference of the dark Ones, too many humans are behaving in a fashion that no animal would ever treat their herd, flock, school, pod, or swarm. Fortunately, many of you are awakening to the fact that YOU are the children of Mother Earth. In fact, YOU are the collective consciousness of all the versions of your Multidimensional SELF that you have ever had in any of your incarnations on Gaia’s planet. It is within your total unity with Gaia, that you, Gaia’s human children, will unite with each other to expand your third/fourth dimensional personal consciousness into the next octaves of your fifth dimension and beyond planetary consciousness. 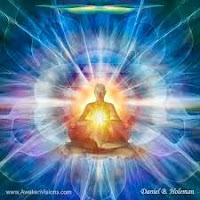 As the ONE being of “humanity,” you will ALL open and enter the inter-imensional Light Portals. You have all been practicing this grand, united opening for many incarnations, as well as on your Ships and on your Homeworlds. We ask that you also practice this “octave jump” during your current embodiment on Earth. As you cross into the opened and opening Light portals, your physical bodies will react to the higher, fifth dimensional, living, Light streams. We advise that you remember your body’s language. Your personal Earth vessel is made of all the elements of the planet. Hence, your Earth vessel can commune with Gaia to remind you of all the incarnations that you have ever taken on third/fourth dimensional Earth. By remembering your myriad adventures on dear Gaia, you will be able to more deeply remember and understand what you have learned during your many adventures on Earth. Then, we ask that you remember – and re-connect with – your memories of living on a fifth dimensional Starship. While your physical form lives in the third dimensional separation of TIME and SPACE. Your fifth dimensional “Lightbody” is a quantum leap beyond your third/fourth dimensional “physical body.” Remember that the frequency of the Earth vessel will greatly influence your state of consciousness, and your state of consciousness will greatly determine the frequency of reality that you will perceive. Synchronize what you eat, how much you sleep, what you wear, and what you do with the directive you are receiving from your inner, fifth dimensional SELF. Synchronize your inner fifth dimensional SELF with your higher fifth dimensional SELF on your Starships and Homeworlds. Your inner fifth dimensional SELF is your Lightbody that is waiting to be awakened within the Kundalini at the base of your spine. Your higher fifth dimensional SELF means your higher frequency SELF, and SELVES, who reside in the fifth dimension and beyond. Your Lightbody is your fifth dimensional body that resonates an octave up from your 3D/4D body. Just as you must adapt to your higher states of consciousness, perceptions, diet, thoughts and emotions, you will need to adapt to your fifth dimensional Lightbody. We see that many of you are making these important adaptations. You may not even be aware of these changes that your higher dimensional consciousness is quietly making in your daily life. However, you are becoming increasingly aware of a level of balance and happiness that is occurring within your life. You may be surprised by this slow but steady shift, because you are NOT trying to be better. You are NOT working harder, or making better decisions. You may not even be meditating more, eating better or exercising more. But you may be realizing that you are easily making more healthy choices. You are not making this change because you “became a better person,” as your 3D self might have told you. No, you are making these transmutational choices simply because you want to. You are finding a sense of inner peace that you did not “work hard to create.” You are not sure why this inner peace is caressing your consciousness. Even more surprising, you have no fear that this inner peace will leave you. “Is there something in the water?” you ask yourself half joking. 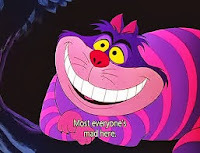 In fact, you are finding that joking is much better than worrying, and smiles feel better than frowns. What is occurring is that your consciousness is rising beyond the frets and fears of your third/fourth dimensional world. Instead of forgetting to be happy, you are forgetting to be sad. “Why is this happening?” you ask. The answer is that your consciousness is naturally resonating to the higher frequencies of Light that are increasingly caressing your planet, your area, your home, your family, and your life. I AM READY to remember my true SELF. Earth is a “free will planet.” Therefore, if you want to change your life, you will have to make that pact with your 3D Self, your 4D Self, your 5D Self and your Mother Gaia. When you remember to speak with all these versions of your SELF, you will realize that you are NOT alone. You will remember that you are constantly surrounded by the loving energy fields of all multidimensional expressions of your SELF, and all the members of your multidimensional familyInvite them all into your daily life. You will find that they are VERY happy to assist you.